Apple quietly blocks its Gay Pride watch face for Apple Watch wearers in Russia, according to prominent iOS developer Guilherme Rambo. When the Apple Watch detects it is being used in Russia, the software will automatically hide the rainbow-coloured Pride watch face. This behaviour is ‘hardcoded’ into the software, according to prominent iOS developer Guilherme Rambo, who first discovered the quirk. The Gay Pride watch face, which includes strips in the colours of the LGBTQ pride flag, was first announced during Apple’s annual developer conference WWDC in June. The watch face was rolled-out to Watch wearers worldwide in time for Pride month. Apple has previously spoken of its ‘unwavering commitment to equality and diversity’ in a number of videos around LGBTQ rights. iOS developer Guilherme Rambo alleges that the Gay Pride watch face cannot be assigned to an Apple Watch via the companion ‘Watch’ app on iOS when the location of the iPhone is set to Russia. The Gay Pride watch face was first introduced during the company’s Worldwide Developers Conference (WWDC) in June. Apple has previously spoken of its ‘unwavering commitment to equality and diversity’ in a number of corporate videos around Gay Pride. 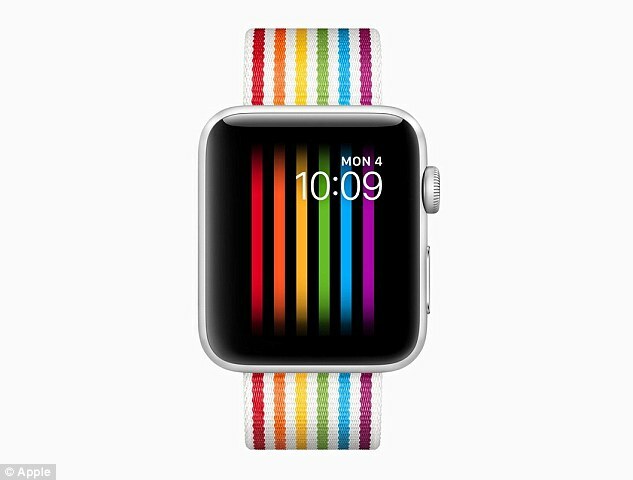 In June this year, Apple even released a Pride Edition Apple Watch band.